Accor Vacation Club, one of the region’s leading holiday lifestyle programs, has launched a new event series at its properties in celebration of ‘everyday heroes’ who work and volunteer in their local communities. The Accor Vacation Club #WelcomeHeroes event series is an extension of AccorHotels successful global 50th anniversary event which took place in November 2017 and saw more than 2,000 hotel establishments around the world invite local volunteers in to give thanks. 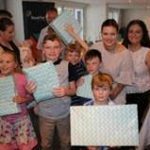 “We had such a wonderful response to the community events we hosted last year that we decided to make this an annual tradition at Accor Vacation Club’s managed properties across Australia and New Zealand,” explained Accor Vacation Club’s CEO, Craig Wood. The Sebel Manly Beach, managed by Accor Vacation Club, was selected to host the inaugural series event, and chose to celebrate its partnership with one of Australia’s oldest and most respected charities, Royal Far West. Supporters, including former professional rugby league player and Northern Beaches local, Ryan Girdler, who attended the event with his family, enjoyed a “What I love about Manly” themed arts created by the kids assisted by Royal Far West, raffles, a cocktail BBQ and entertainment, organised by the beachfront hotel. – The Sebel Busselton in Western Australia, who have hosted a weekend barbecue lunch event for more than 70 local Red Frog volunteers helping look after School Leavers as part of the nation’s ‘schoolies’ celebration. – Grand Mercure Puka Park on the Coromandel Peninsula in New Zealand will be hosting a complimentary barbecue for all volunteers at Pauanui St John’s. – The Sebel Palm Cove in North Queensland will encourage local Palm Cove police and fire departments to let their hair down with a tropical themed pool party and sausage sizzle event. – The Sebel Pinnacle Valley in the Victorian High country will host a barbecue to thank the area’s Country Fire Authority (CFA) ad local emergency services, ahead of the busy summer fire season. A member of the AccorHotels group, the world’s leading hotel operator, Accor Vacation Club remains one of the leading holiday lifestyle programs in the region, offering fantastic accommodation and travel options for its members in a wide variety of holiday destinations, including a portfolio of 24 managed hotels and resorts across Australia, New Zealand and Indonesia. As part of the broader AccorHotels group, Accor Vacation Club is committed to redefining boundaries through its positive hospitality and AccroHotels’ Planet 21 CSR initiatives. Planet 21 goals for 2020 are based around four strategic priorities: working with its employees, involving its customers, innovation with its partners and work with local communities. Accor Vacation Club’s #WelcomeHeroes event series pays homage to one of AccorHotels’ fundamental pillars to ensure that hotels work hand-in-hand with local communities for a positive impact.